hardwood floors, gourmet kitchen with gas cooktop and impact windows and doors! 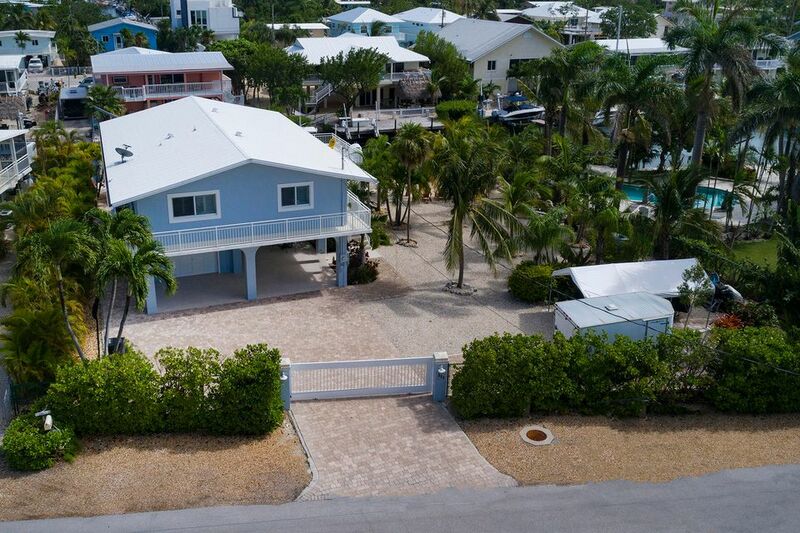 This home is gated and situated on a lot and a half and offers 108′ of the concrete dock! Great outdoor living space with paver driveway, sandy beach area, gas tiki torches for great ambiance, beautiful landscaping with landscape lighting, underwater lighting, outdoor shower, tiki hut and built in brick BBQ! The custom outdoor bar makes it the perfect place for entertaining friends and family!